The FA3 series x-ray systems are Eagle’s 3rd generation refinement of Dual Energy X-ray Absorptiometry (DEXA) technology using the innovative and proven superior single-beam geometry Eagle introduced to the market in 2004. Eagle FA3 inline fat analysis systems use DEXA to discriminate between fat and lean portions of 100% of product throughput, providing Chemical Lean (CL) measurements to better than +/- 1CL accuracy of all meat product. with no degradation in inspection performance at full throughput, thanks to Eagle’s proprietary SimulTask™ PRO advanced imaging software. The FA3/B provides inline fat measurement and contaminant detection for fresh, chilled, frozen, hot-boned, or mixed bulk flow meat. It operates at industry throughputs in excess of 60 tons per hour of bulk meat. 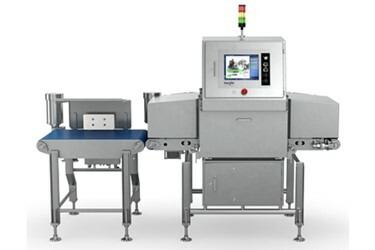 The FA3/C provides inline fat measurement and contaminant detection of packaged meat products in cardboard cartons, plastic crates, and vacuum-packed blocks. It operates at industry throughputs in excess of 2,400 packages per hour. PRODUCT SWITCH™ function available. The FA3/M is a multi-application system which provides inline fat measurement and contaminant detection for fresh, chilled, frozen and hot-boned loose bulk, frozen or tempered (“naked”) meat blocks and unwrapped meat conveyed in plastic crates. It operates at industry throughputs up to 2,400 plastic crates or frozen blocks per hour, or up to 35 tons per hour of bulk meat. PRODUCT SWITCH™ function available.